The Bahamas government has signed Letters of Intent and a Memoranda of Understanding (MoU) with Hutchison Port Holdings Ltd and Sunwing Travel Group to renovate and reopen the 503-room Reef Village on Grand Bahama. 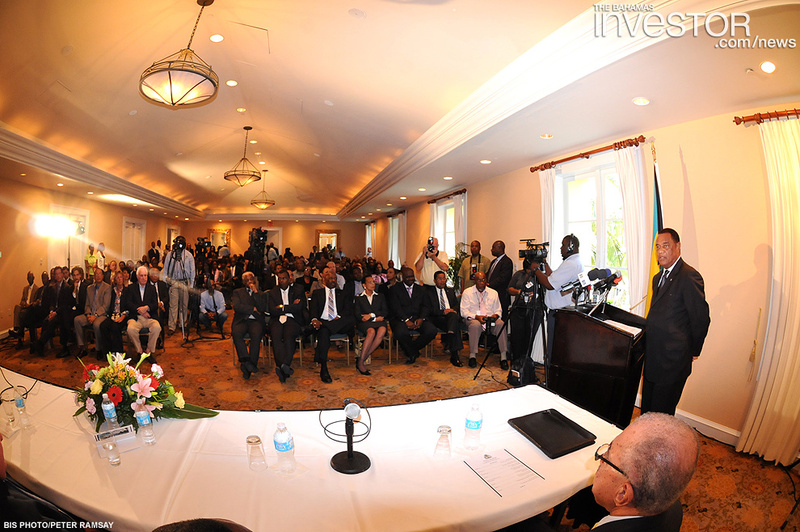 The announcement was made by Prime Minister Perry Christie during a press conference October 17 at the resort (pictured below). 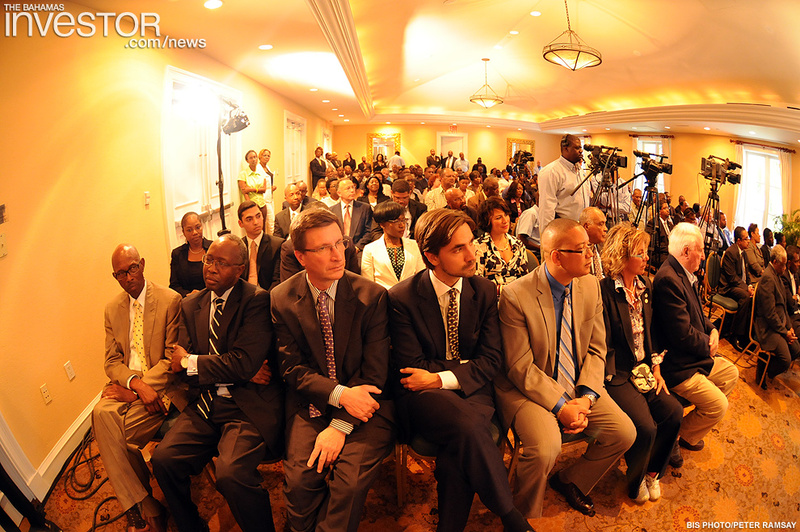 Present were Cabinet Ministers, principals of Hutchison Port Holdings and Sunwing Travel Group, senior government officials, and other stakeholders involved in the project. “We have assembled in Freeport today to make one of the most important and encouraging announcements made over the last decade relating to Grand Bahama’s vital tourism industry,” the Prime Minister said. Under the multi-faceted agreement, approximately 1,000 new permanent jobs will be created and hundreds employed in the construction phases. 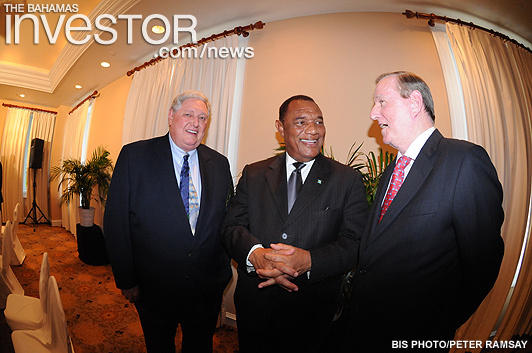 Hutchison will renovate and reopen the 503-room Reef Village, which will be leased and operated as a five-star all-inclusive resort by Blue Diamond Hotels and Resorts (an affiliate of the Sunwing Travel Group), a chain with operations in Mexico, Dominican Republic, Jamaica and Cuba. “The Sunwing group brings to Freeport a product that is lacking and in demand in the marketplace. In addition to being a successful hotelier, Sunwing continues as a major tour operator and airlift provider,” the Prime Minister said. Under the agreement, Sunwing, which also owns and operates a fleet of aircraft, will operate flights from several cities in Canada to Freeport. In addition to the Reef Village and the Grand Lucayan, Sunwing will also market other participating hotels in Grand Bahama. Sunwing, through its affiliate Vacation Express USA Corp, will work with the Ministry of Tourism and the Grand Bahama Island Promotion Board, as well as participating hotels, to restructure, support and turn the contracted summer airlift programme from cities in the US to Freeport into a success. Other components of the agreement call for Hutchison to invest in the renovation and conversion of the closed 192-room Lighthouse Point property. Additionally, the government will enter into an arrangement with Grand Bahama Airport Co to take over the employment of the air traffic controllers and air traffic control at Freeport International Airport with effect from July 1, 2013.